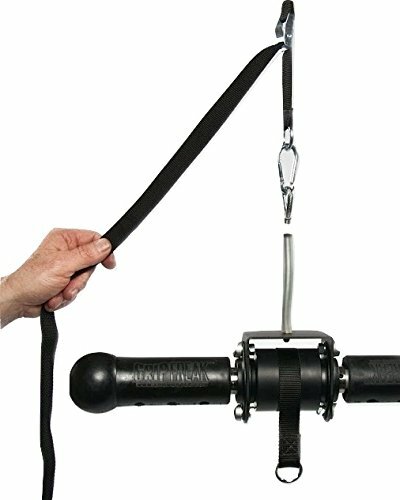 The Grip Freak Strap Suspension System is the perfect way to grip train virtually anywhere. Simply loop the strap around overhead bars, beams, or even barbells in power racks. Then attach a GRIP FREAK Wrist Roller Unit and adjust in seconds to suit exercise and user height. Freak out with a suspension system so versatile it can even be used to hang a Roller Unit from a Cable Crossover Machine with the weight stack as resistance. Why limit Grip Training to the gym? Build Grip Power anywhere, anytime with the Grip Freak Strap Suspension System. ***GRIP FREAK 'GRIP STRENGTHENER UNIT' PICTURED is NOT INCLUDED. If you have any questions about this product by GRIP FREAK Wrist Roller Attachments, contact us by completing and submitting the form below. If you are looking for a specif part number, please include it with your message.